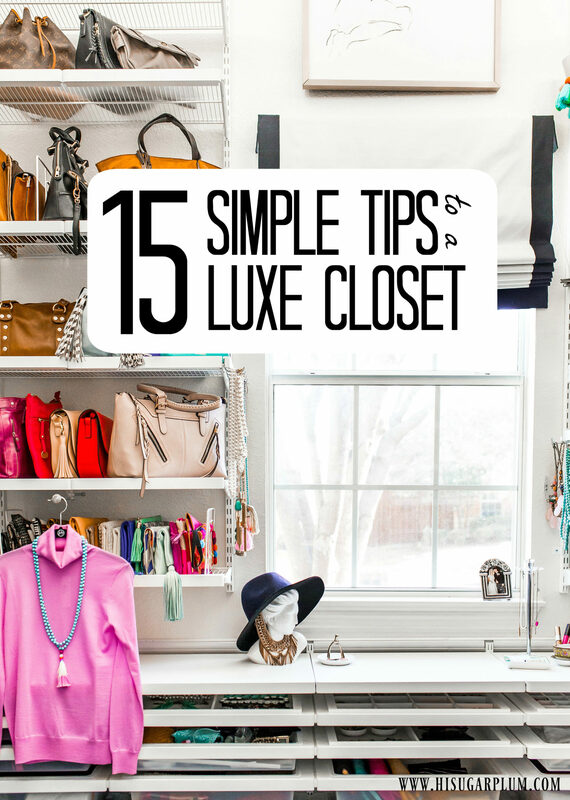 15 Simple Tips to a Luxe Closet | hi Sugarplum! 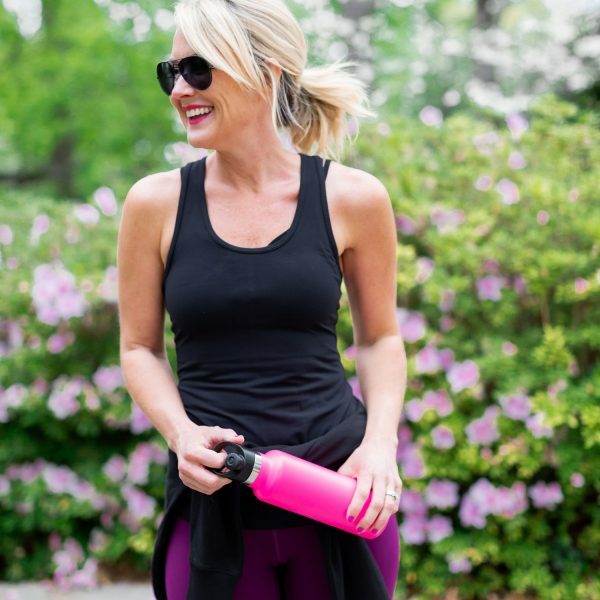 Thanks so much for your sweet comments on yesterday’s Date Night Style post. I loved hearing your tips and tricks for ‘encouraging’ your mate to get dressed up! 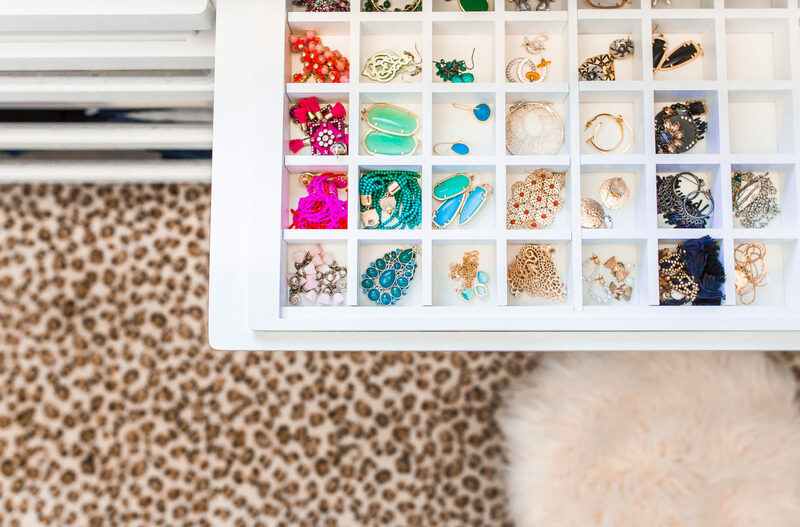 Today I’m sharing tips and tricks of the organizing kind. I still pinch myself every morning when walking in my closet, and can hardly believe that space is mine. 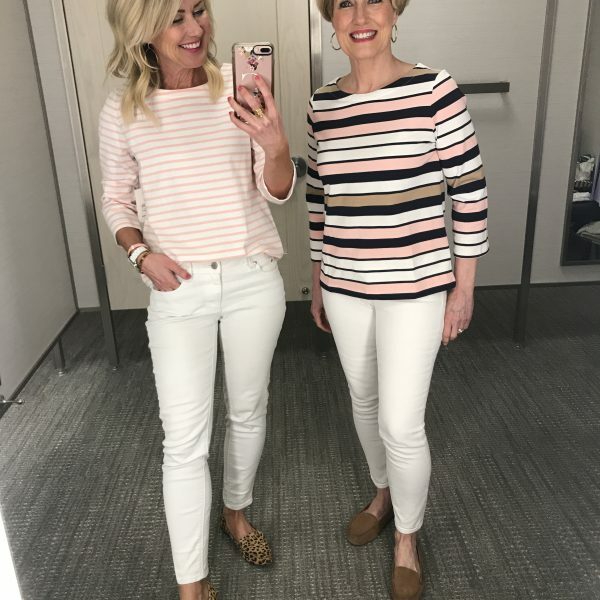 Having it well organized has been such a game-changer for me…for both creating outfits, and kick-starting my day on a positive note. It’s the first room I walk in when I wake up (after the bathroom, of course), and it starts my day on such a calm and joyful note. 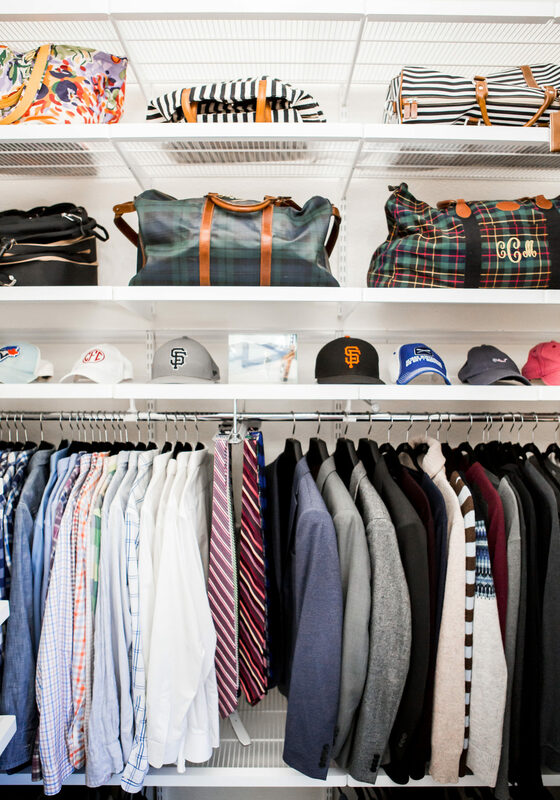 But you don’t have to overhaul your closet from top-to-bottom to achieve this wardrobe nirvana. 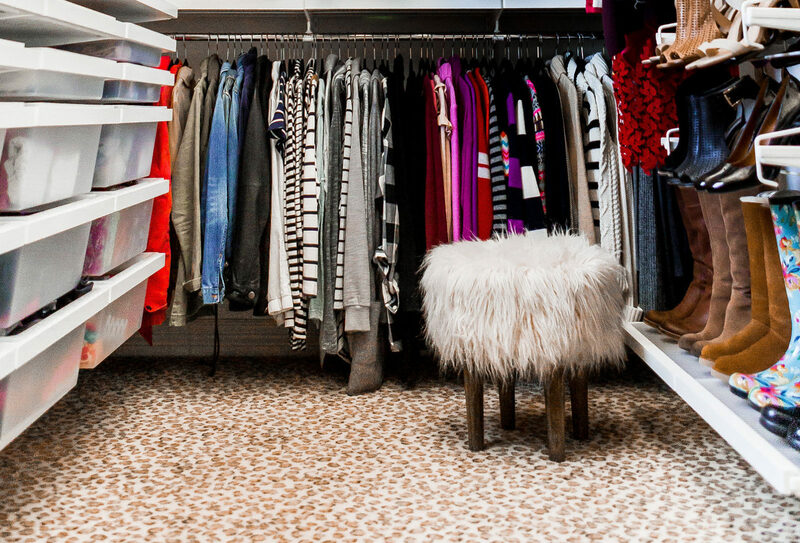 There are actually simple tweaks and changes to turn your closet into one fab space. 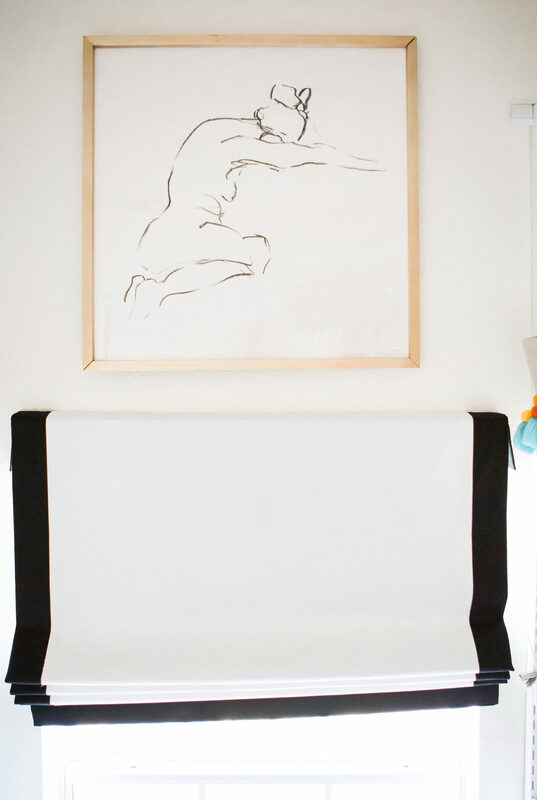 ONE) Shop your home for decor pieces to use as unexpected storage, and pretty organization. 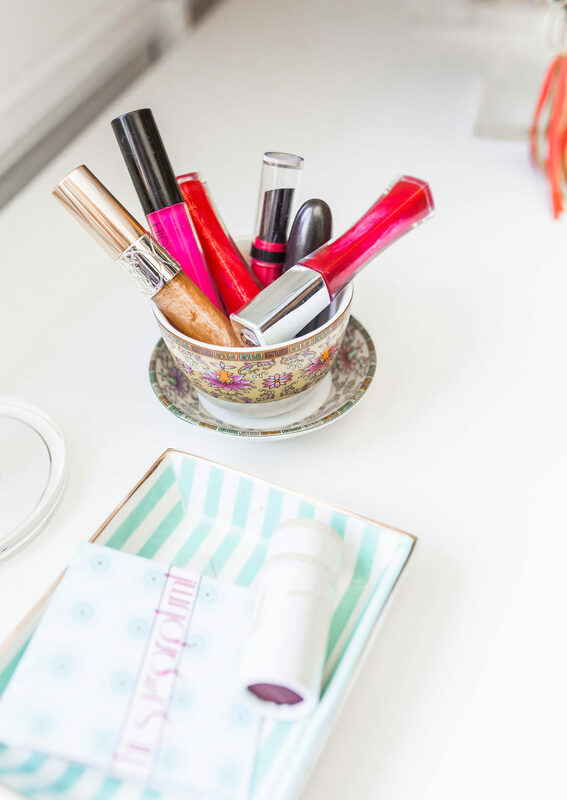 Small dishes and trays are great for corralling earrings, lipsticks and sunglasses. Oversized baskets make great hampers, and add texture to the room. 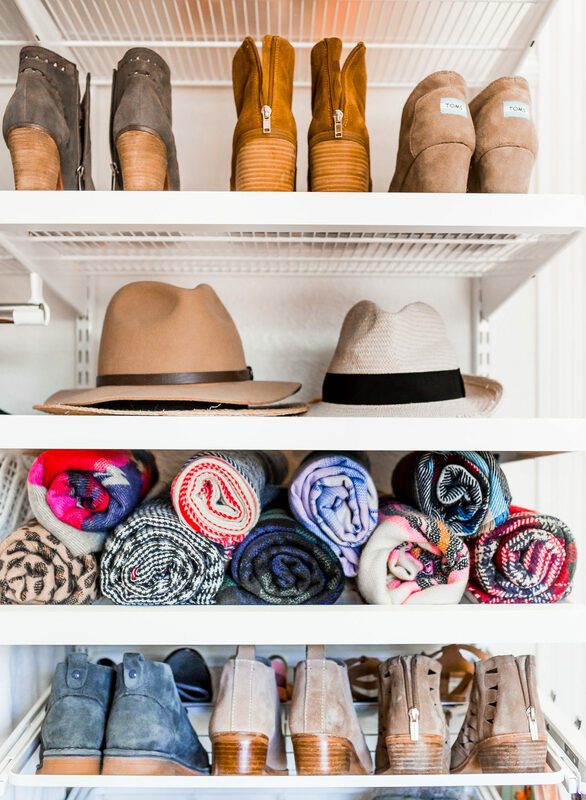 TWO) Use handbags, hats, and scarves as decor. Even your favorite pair of shoes looks like art when displayed on a shelf! 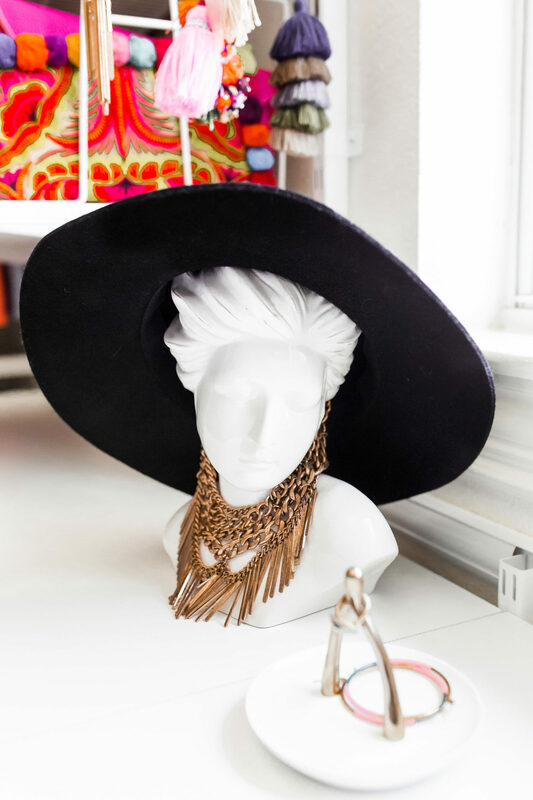 THREE) Carve out an accessories area, putting your favorite pieces on display. This not only looks pretty, but helps you see all your options in one spot. 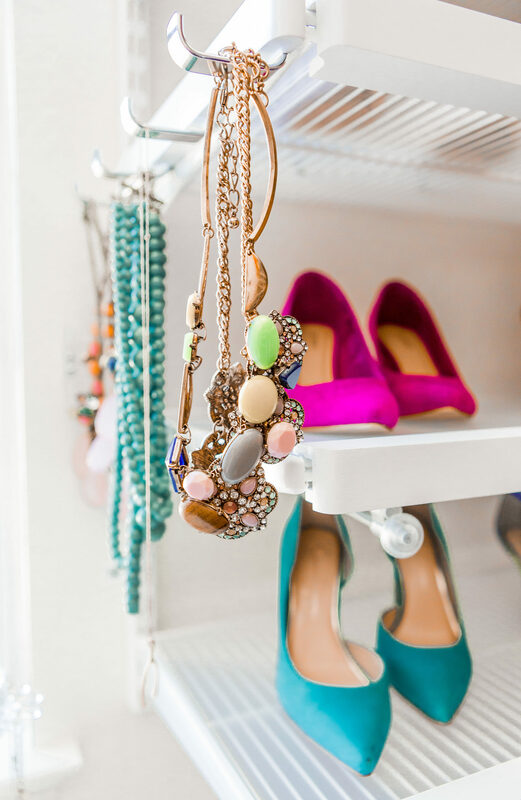 FOUR) Use hooks for everything from robes and hats, to necklaces and outfits. My hooks are part of the elfa system, but decorative ones add style and a feminine touch to your space. They’re also great for keeping items off the floor! FIVE) Stools, ottomans and poufs fit well in closets, and make a nice place to sit and put on your shoes. They also add to the feeling that this is more than just a closet. SEVEN) Swap out the basic carpet for something fun. Add a rug or runner, or simply throw a faux-fur down. 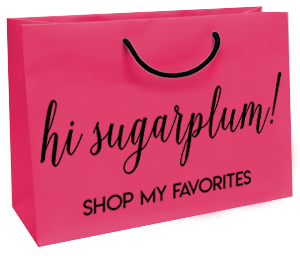 EIGHT) Group like items in a way that makes sense to you…dresses, skirts, collared shirts, blouses, jackets…then organize everything, from ties and shirts, to earrings and skirts, by color. Even handbags and clutches can be arranged in rainbow order. 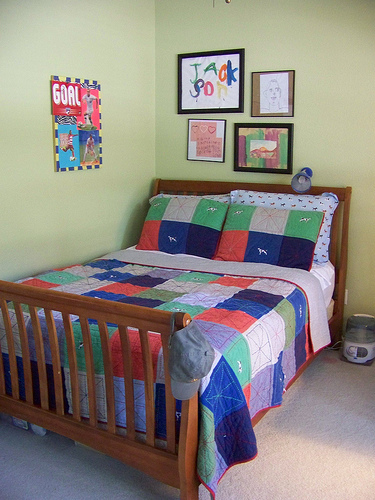 TEN) Treat the room like any other in your home, and decorate with art and window treatments. 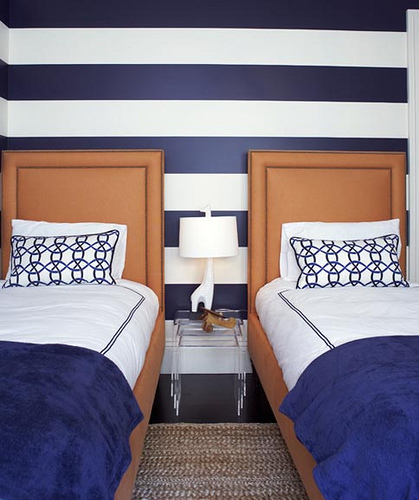 Paint the walls or ceiling, even add wallpaper! Add an inspiration board, frame favorite quotes and family photos…basically add things that bring you joy! 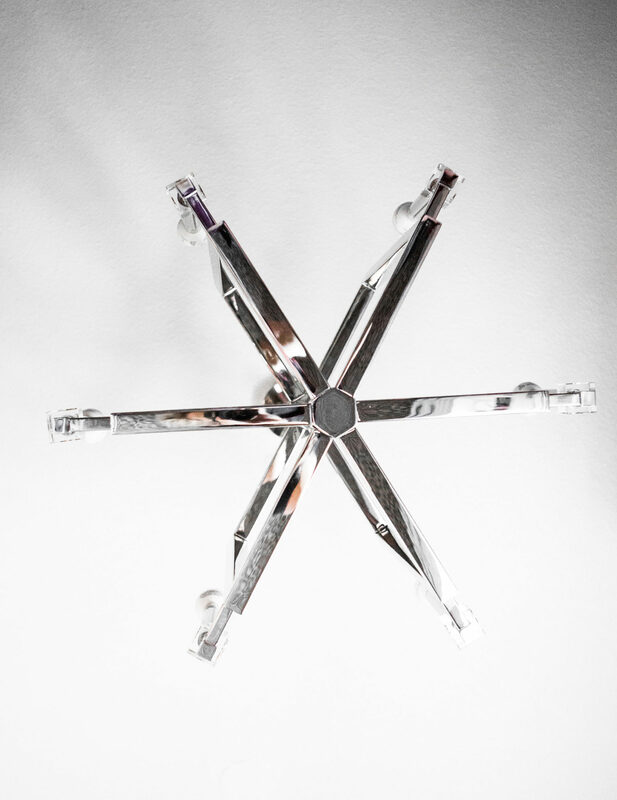 ELEVEN) Replace standard lighting with something special, but make sure it provides good, functional light. Even adding a dimmer to a builder-grade light changes the atmosphere. TWELVE) Add a mirror to reflect more light, and assist in getting dressed. It could be an inexpensive one mounted to the back of the door, or a decorative floor mirror leaning against the wall. 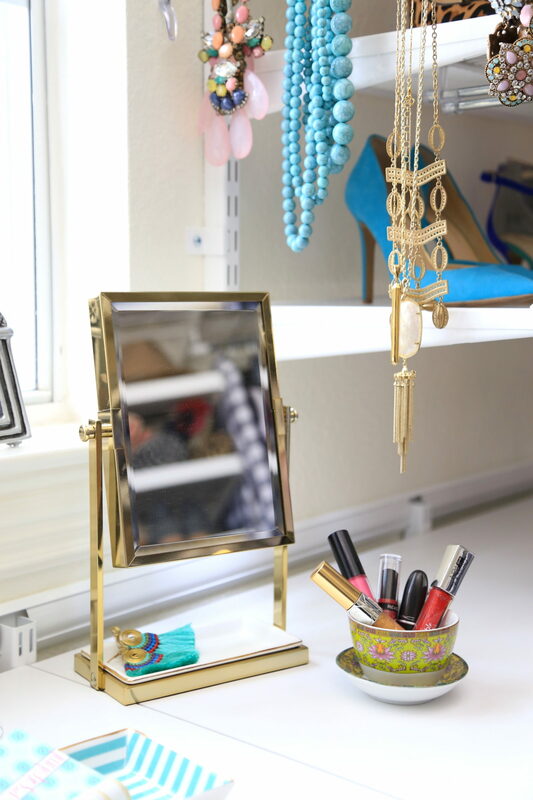 My table mirror creates a small vanity area I use to add finishing touches like earrings and lipstick. THIRTEEN) Store any items not on hangers in drawers or bins, instead of folded and stacked on shelves. 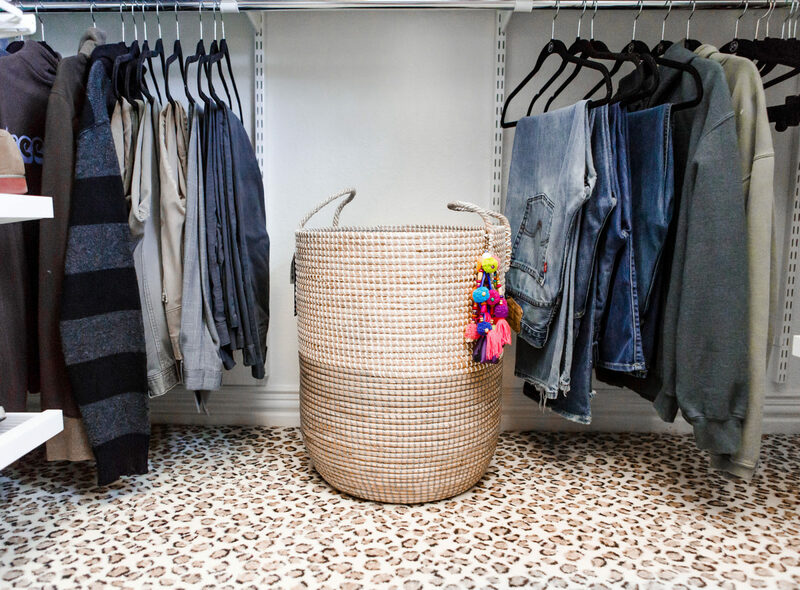 This helps keep the space tidy and uncluttered, and makes it easier when putting laundry away. I even have a ‘junk drawer’ for things I reach for often, like scissors, receipts, lint rollers, and protective sprays. 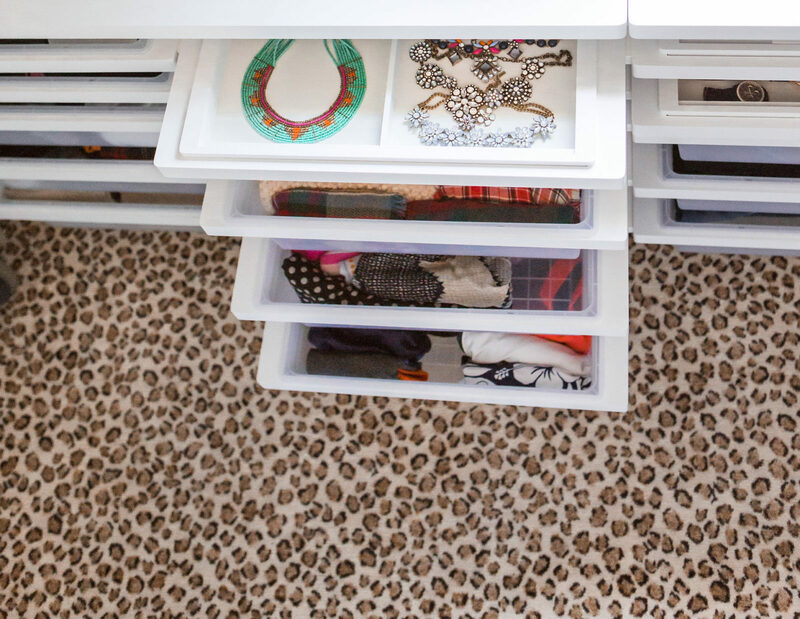 FOURTEEN) Organize your drawers in a way that helps you dress more efficiently. 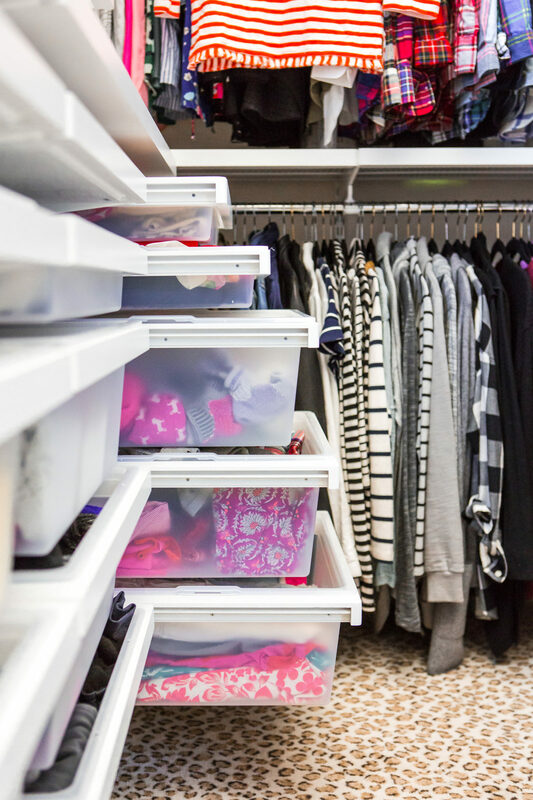 Whether that means you follow the Konmari method, roll your tees, or stagger your favorite undies…the goal is to easily find what you’re looking for, while extending the life of your clothes. FIFTEEN) Forget the rules, tips and tricks, and do whatever brings you joy! You want leopard carpet? Go for it! Purple is your favorite color? Paint it on the ceiling! Your funny sock collection is your prized possession? Hang them from hooks. 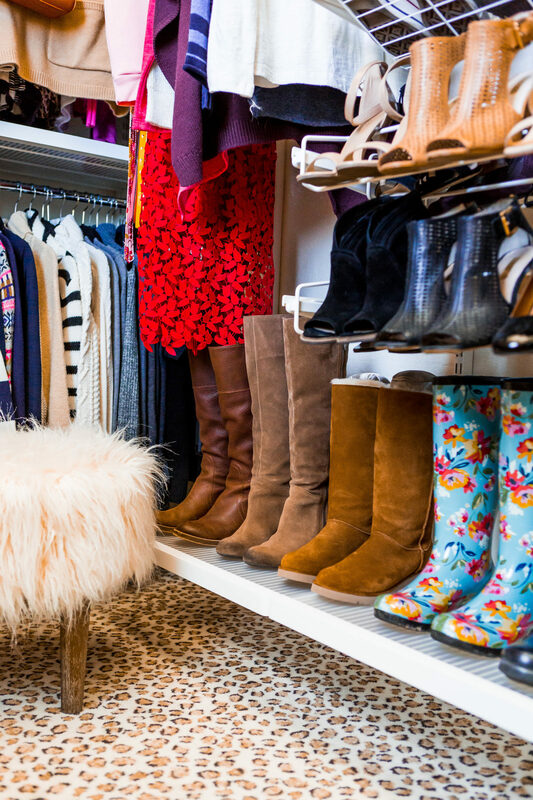 Nothing is off-limits…afterall, who else will see your closet?! 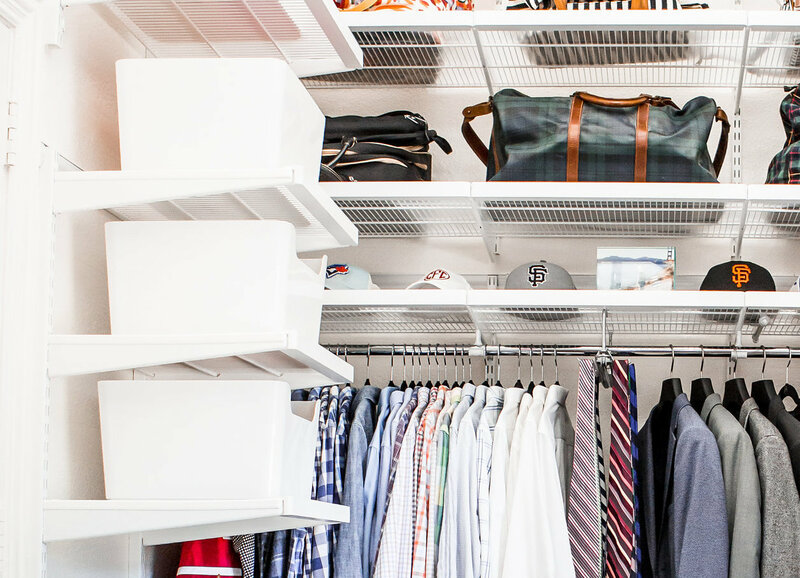 Basically do whatever you want to your closet, except overlook it! It’s likely the first place you go in the morning, and the last each night…it’s also where you create the image you project to others every day. Who wouldn’t want that to be a place of joy?! 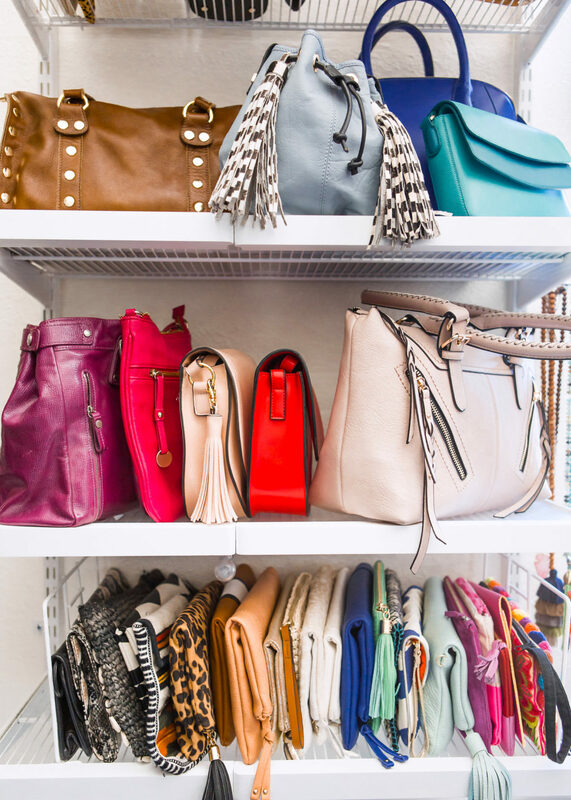 How do you organize your closet? What have you added to create a more luxe feel? These are great tips! I too love using pretty (and unexpected items) as display pieces for jewelry! I’ve found that the ceramic egg holders are perfect to hold a bunch of small earrings! 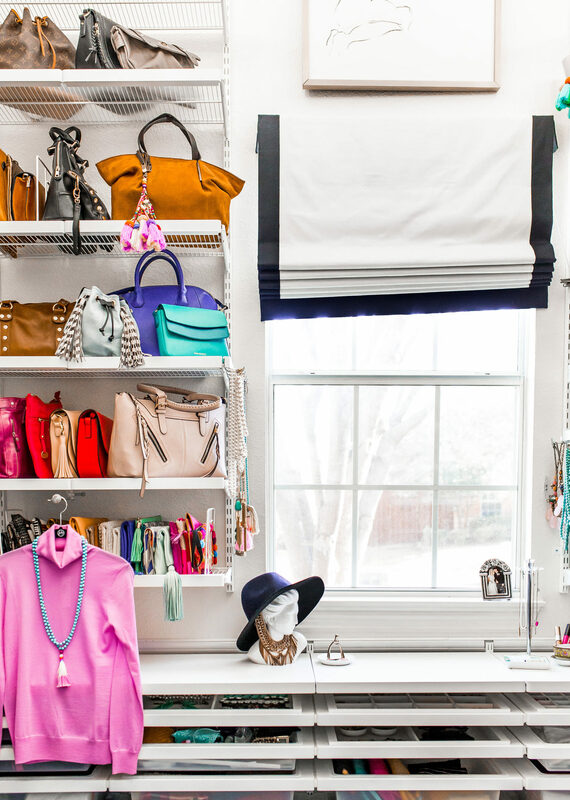 Make my closet look pretty is definitely on my “to do” list. It is fairly organized but I really want to add some things to make it feel special. Thanks for all of the great, simple tips! 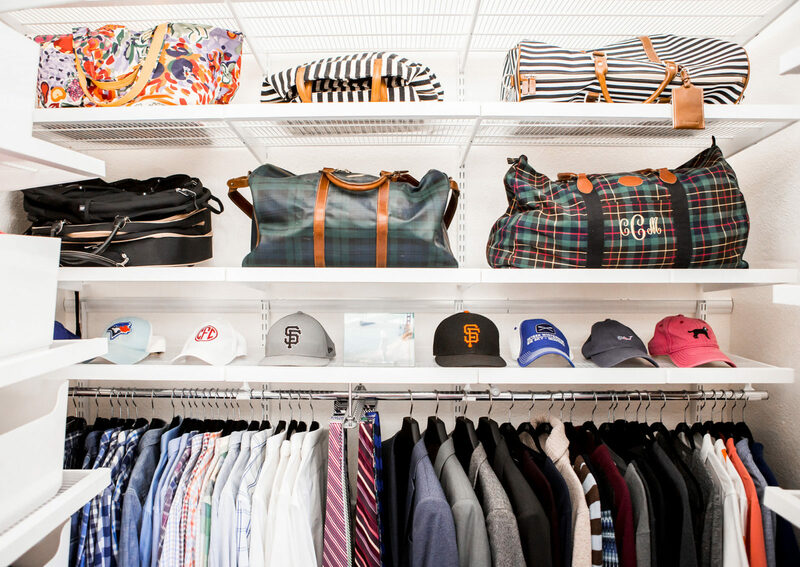 Closet goals!!!! It’s so gorgeous! 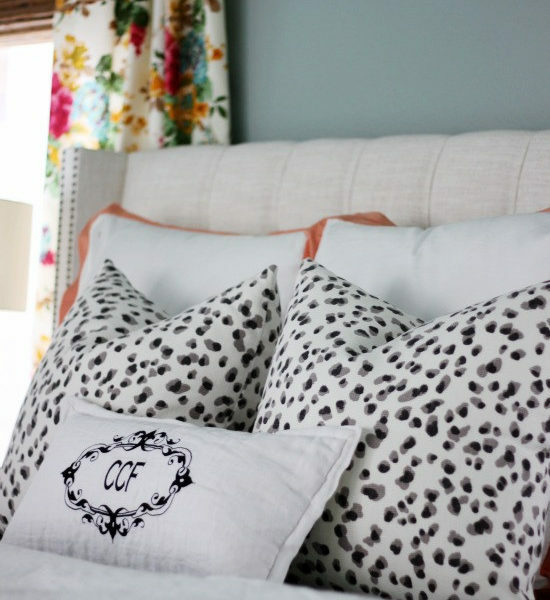 That leopard carpet totally completes it… Great tips!!! Great tips! I hate when our closet starts to get disorganized being that it is where I start and end my day. I took 2 small cork boards from IKEA and covered them in fabric and did some nail head trim on the edges as a decorative place to display my necklaces. I love a pretty closet! Organizing my closet is definitely a priority of mine for my spring cleaning this year. It’s so not functional and it annoys me often. Amazing tips! 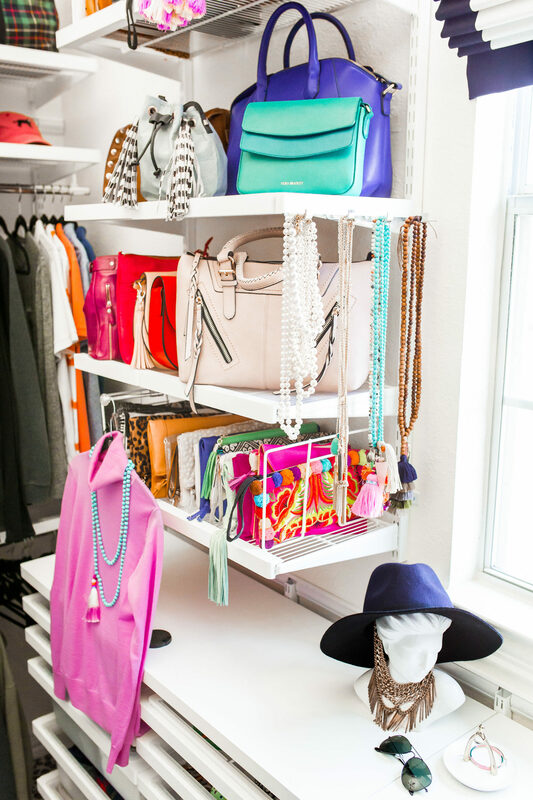 Still so in love with your closet makeover! My closet is so teeny, it’s hard to use anything as decor, but maybe there are some small ways I can make it seem more exciting when I open the closet doors. 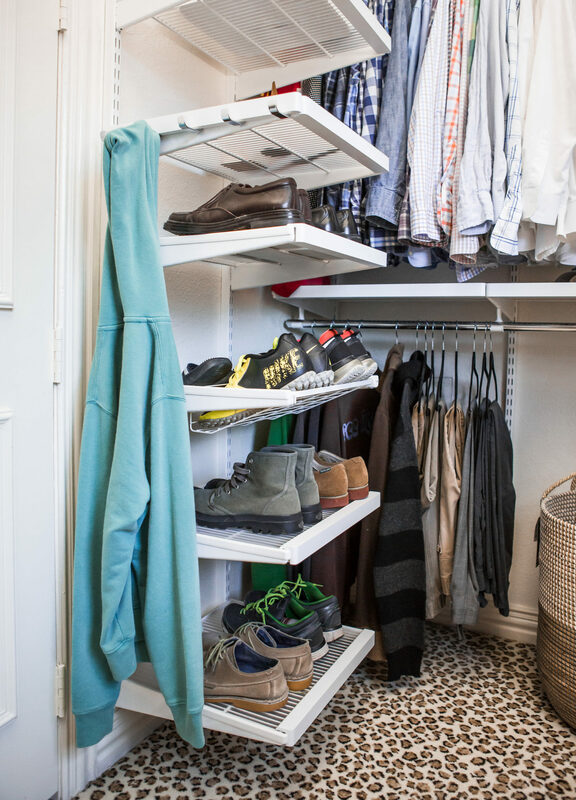 Love your closet and your great tips for helping make any closet great. Oh my gosh, can I please have your wardrobe? Love all your boots! I agree on the copycat “huggable hangers”. I fell for them too (so much cheaper!) and the hooks started popping off. None of the real hangers has lost it’s hook. Elegant “Cassie boutique” you’ve got there masquerading as a closet. I swear you’re the bootie queen of Texas! 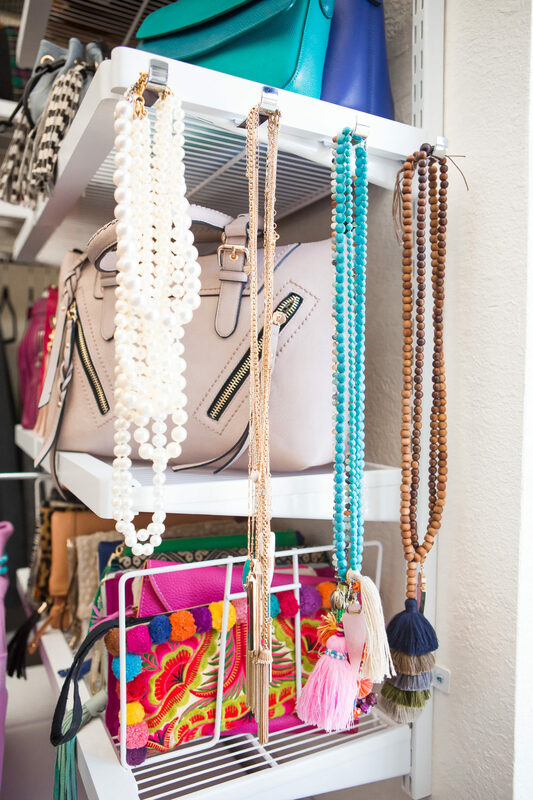 My favorite organizing tip is the Wayfair wall mounted jewelry organizer. Mine holds a ton and has a mirror on the outside so serves two purposes at once. I love that shaggy stool! I wonder if I can import one to Scotland! Great post! Love your ideas. These photos are super inspiring. 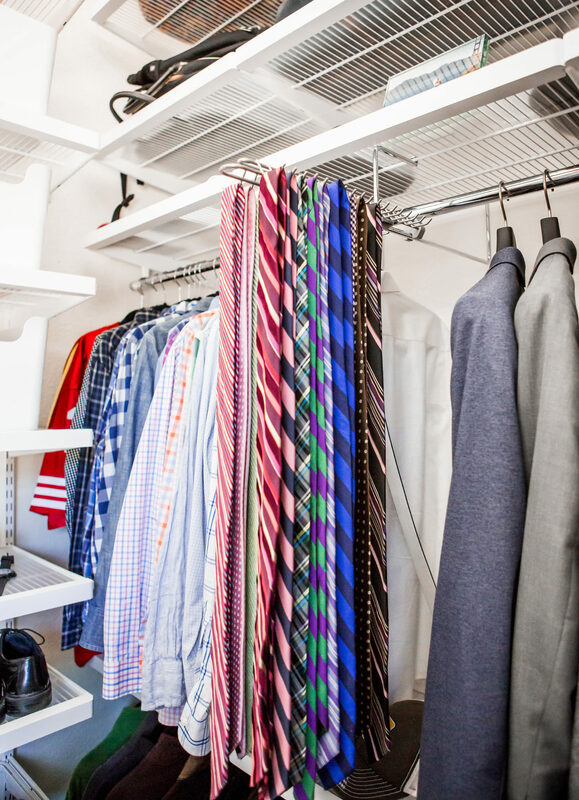 It makes me so envious though, because mine is tiny… I mean, some of these closets are bigger than my whole bedroom! I am in love with your Hammitt handbag and am so sad it is no longer available. My husband was born and raised in Lockland, Ohio. His Father was a police officer, his Mother worked at Stearns and Foster. After we were married, I worked at a Bank in Lockland. Lots of memories from that town. Stearns and Foster has since been torn down. If you ever come across another one, please keep me in mind. What a lovely story!! That bag is stunning, and certainly the nicest one I own. It was amazing to be part of that project and collaboration! Wow, this is fabulous! Great use of vertical space! I’m moving into a house with small but tall walk-in closets. You’ve definitely given me some inspiration here! 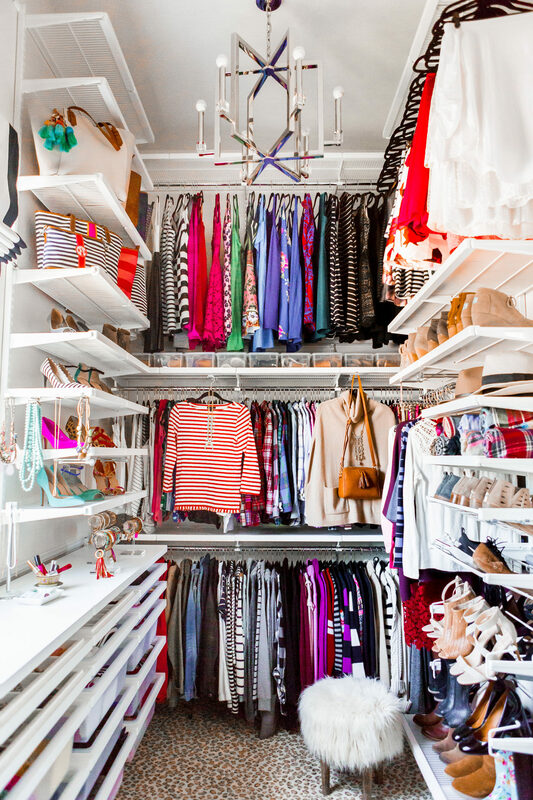 Beautiful closet! Could you share your thoughts on how practical the acrylic bracelet organizers are? I’m curious if it’s hard to get ones in the middle off the holder without knocking off bracelets on the end. Thanks! It works great for cuffs, but for bracelets that don’t open, you do have to slide them all off. Doesn’t really bother me, and I haven’t found another option that doesn’t require the same. As for the base, it’s really sturdy…I’ve never had mine topple!